Student loan debt has risen dramatically in recent years, with reports indicating that it has climbed to 10.6% of all U.S. household debt. 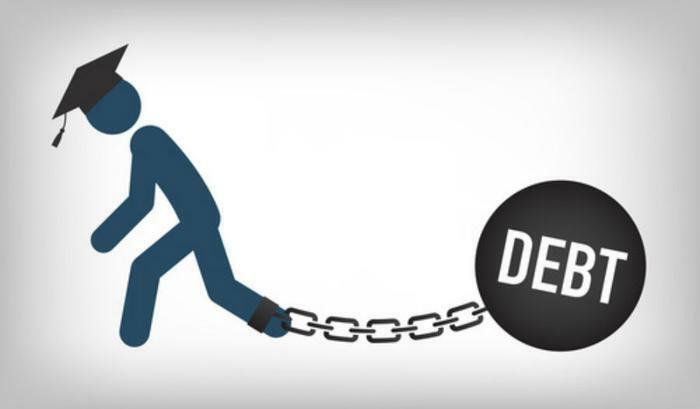 To help ease the burden on consumers, the federal government has paid debt collectors up to $1 billion annually to help defaulted borrowers climb out of debt and begin making monthly payments, a process referred to as rehabilitation. However, a recent report by the Consumer Financial Protection Bureau (CFPB) shows that these federal incentives may be doing little more than costing American taxpayers. A Bloomberg report details how debt collectors often rake in money for helping consumers who quickly fall back into default on their debts. “Collectors earn this compensation irrespective of borrower performance over the months or years following a completed rehabilitation, ensuring that collectors have no ‘skin in the game’ when a borrower defaults again. Policymakers may wish to reevaluate the economic inventive in place for debt collectors and student loan servicers to encourage long-term borrower success,” an October, 2016 report states. Since the start of the 2013 fiscal year, CFPB says that the federal government has paid $4.2 billion to debt collectors for rehabilitation services, with a maximum amount of $1,710 being paid for each “successful” rehabilitation. But when the agency tracked how much consumers paid back after these efforts, they found that the numbers were abysmally low. Statistics show that for each federal payment made to debt collectors, the amount collected afterward from the borrower was as little as $45 in 80% of cases. Part of the problem, experts say, is that the contracts offered to debt collectors are simply too lucrative for the amount of return that the federal government gets back. CFPB points out that government’s rehabilitation program, which targets people who have defaulted on their debt, allows borrowers to pay back as little as $5 per month during a nine-month period in order to be considered in “good standing” on their debt. However, the agency found that 40% of these borrowers went into default again within three years. “When student loan companies know that nearly half of their highest-risk customers will quickly fail, it's time to fix the broken system that makes this possible,” said Seth Frotman, a top CFPB student loan official. To further exacerbate the problem, experts say that borrowers often don’t receive good counsel when it comes to exercising their options after coming out of default. CFPB points out that the majority of borrowers who make $5 monthly payments are eligible for $0 payments after exiting default, but around 90% of them don’t take advantage of the program and remain within the purview of debt collectors. Education Secretary Betsy DeVos said earlier this year that it was up to the Education Department to “do a better job” than the previous administration when it came to reining in debt collectors. But thus far, student loan borrowers have only seen reductions in protections and are facing the loss of certain forgiveness programs that they were relying on. CFPB is urging the government to reconsider its loan program and debt collector contracts to ensure that they are working for the benefit of Americans. “I don’t see how anyone wins from this system other than the collection industry,” commented Adam S. Minsky, a student debtor representative based in Boston. The full report update from the CFPB can be viewed here.